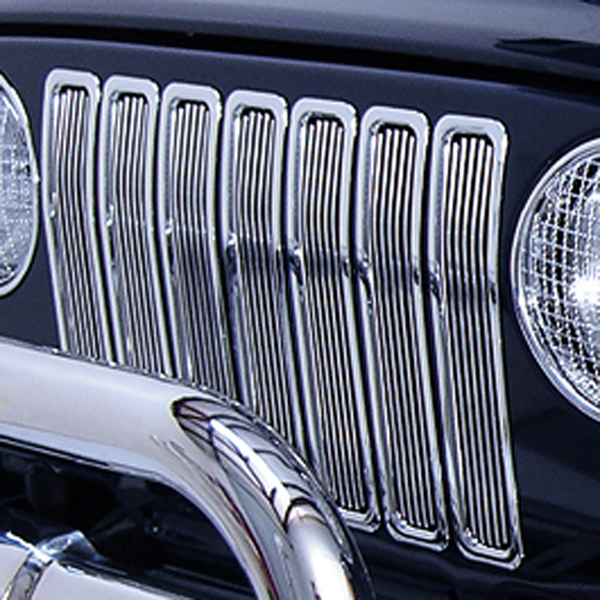 BILLET GRILLE INSERTS, CHROME TRIM, 97-06 JEEP WRANGLER/UNLIMITED - Jeep Parts Guy - All the Jeep Parts You Need! Durable UV treated inserts enhance the front of your Jeep. These inserts add great styling and a unique appearance. All Rugged Ridge inserts easily install without drilling or tools. Just click them in and go! install without drilling or tools. Just click them in and go!